Do you love discovering a new place before it becomes mainstream? Before it’s flooded with tourists jostling for the best Instagram shot? We do too. To help you stay ahead of the curve, we asked some of the top family travel writers which destinations would be the next big thing. From the people who live and breathe travel, here are the top destinations to visit in 2019. The narrow cobblestoned streets of San Sebastián’s Old Town, Parte Vieja, have a palpable buzz. Yes, you’re surrounded by a seething horde of tourists, but somehow that’s okay because you’re all there to focus on one thing: food. And yes, the food in San Sebastián is very, very good. It’s no fluke that the city has consistently featured on foodies’ bucket lists for decades, so where better to coax out your child’s inner foodie than in this beachside culinary Mecca in northern Spain’s Basque Country? 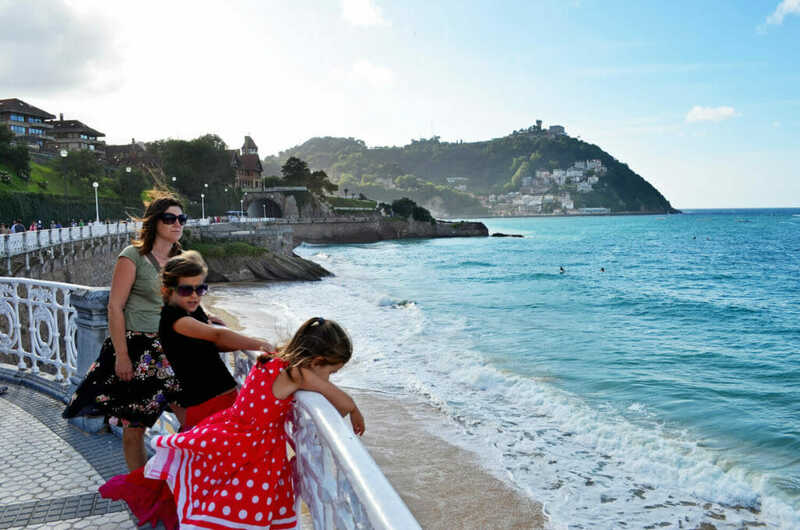 Food aside, San Sebastián offers a smorgasbord of kid-centric activities – go for a swim or take surfing lessons at one of the three golden-sand beaches; ride the funicular to the top of Monte Igueldo, where there’s a small amusement park; hire bikes and explore the city’s 30-kilometre network of bidegorris (bicycle lanes); visit the aquarium or the Eureka! science museum; walk through woodland to the castle at the top of Monte Urgull… Our two girls were mostly happy just to island-hop the archipelago of pintxos bars dotted around the old town. Pintxos is the Basque version of tapas – bite-sized morsels of food, commonly a slice of bread with something tasty speared to it with a toothpick – that you choose from colourful arrays displayed along the counter. Competition is fierce among the bar owners, who try to outdo each other with ever-more-outlandish creations. One of my favourites was a piece of cod that you cook (and smoke) yourself over a smouldering piece of charcoal and then chase down with a shot of liquid salad from a tiny test tube. One of the beauties of dining in San Sebastián is that you don’t have to commit – either to a venue nor dish. Simply flit from bar to bar, grazing on delectable morsels: paper-thin shavings of melt-in-the-mouth jamón, deliciously marinated olives, spicy chorizo or, for the more adventurous, perhaps a braised pig’s ear in a wild-mushroom emulsion or some sardines with fresh pineapple and mustard. Kids can try a bite of this, a bite of that, exploring new flavours and textures, deciding what works for them and what doesn’t. You may well be surprised by the results. As a travel writer, I’m pretty thorough when it comes to researching destinations, so when I planned our first family trip to Vietnam, it was hard not to notice the one location that kept topping everyone’s list: Hoi An. For my part, I was looking for a place that was not too busy, had nice beaches (for my three-year-old son), culture (for the adults), shopping (for me) and plenty to keep us occupied as a family. Numerous locations in Vietnam tick some of these boxes, but only Hoi An emphatically checked off every item. 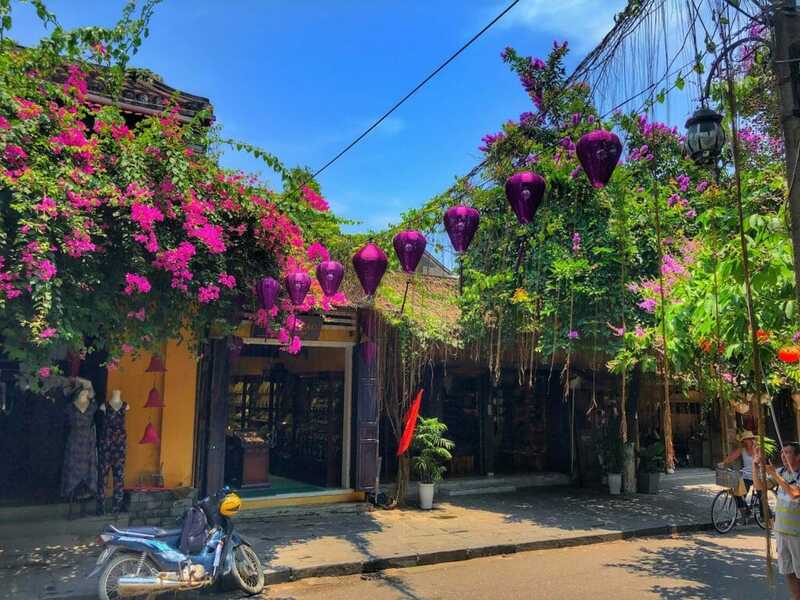 Most families spend four or five days in Hoi An – we spent five weeks! I confess, even the locals were surprised (“You mean five days?” they queried), but in that time we were never bored. We rented a two-bedroom villa with access to three swimming pools (and buffet breakfast), all for about AU$70 per night. Free bicycles (and a child’s seat for my son) meant we were liberated from the (admittedly) cheap taxis to get back and forth between our hotel and the beach or the historic old town, and could easily soak up the Hoi An most tourists miss. Our early morning cycling jaunts through rice paddies and Hoi An’s many adjoining islands still linger as favourite memories from this trip. Every morning at 6am, before the heat set in, my son would settle into his bike seat (wearing the Australian bike helmet I’d brought with us) and off we’d go. Most days, we’d head first to the local fruit and vegetable market (thriving at this early hour) and stock up on cheap lychees or mangosteen, which I’d hand to him as we cycled. With time on our side, I let him be the tour guide, choosing which direction we rode and stopping on a whim to walk the narrow paths of the many rice paddies. Daytimes were spent poolside or beachside or shopping (Hoi An is home to more than 400 tailors) before evenings eating or people-watching in the busy UNSECO World Heritage-listed Old Town, or at Hoi An’s famous water puppet show (it’s so good, we went three times). Even now, as Vietnam continues trending as a travel destination and I consider our return visit to explore areas such as the Mekong Delta or the mountains past Hanoi, my heart says “Hoi An”. I first visited Malta, my mother’s island home, in 2001. As a child who had lived in Australia her entire life, I felt as though I had stepped back in time to what I now identify as the Greco-Roman era. Hopping and jumping along the dusty cobblestoned streets of Mdina became a game for me and my brother (we imagined there was lava in the cracks). My sister and I devoured ice-creams from the sun loungers at Neptunes swimming pool. We felt like such grown-ups, smelling of coconut tanning oil, even though our mother never allowed us to stay in the sun for longer than a few minutes at a time. And we all had our fill of pastizzi – savoury ricotta-filled pastries, though, over there, they were round and more of a shortcrust than puff variety. Stuffat tal-fenek – rabbit stew served with spaghetti pasta – was also a favourite. This year, I returned, somewhat reluctantly, knowing that back then I hadn’t known I was suffering from coeliac disease (a severe allergy to gluten) and being very aware of the social side of Malta; Australians catch up over drinks, Maltesers gossip over food. However, I quickly realised I had nothing to worry about. The myriad restaurants and cafes here, many of which offer unbeatable views of the Mediterranean Sea, cater brilliantly for those with allergies. Gluten-free, lactose-free, nut-free – they were all terms that appeared on almost every single menu I came across. It’s quite risky dining out in Australia, as food allergies are still seen as quite hipster. But in Malta, being food lovers themselves, the restaurateurs know nobody would choose to limit their culinary options, so cross-contamination never became an issue. It meant we could explore every crevice of the charming mainland, as I wasn’t having to constantly bolt back to the Airbnb for safety. A couple of insider tips: you’ll find the best gluten-free ravioli at Peppi’s in Sliema and the best gluten-free pastizzi at LivWell Health & Snack Shop in Naxxar. You’ll need to cook the latter yourself as it comes frozen, so make sure your accommodation has an oven. 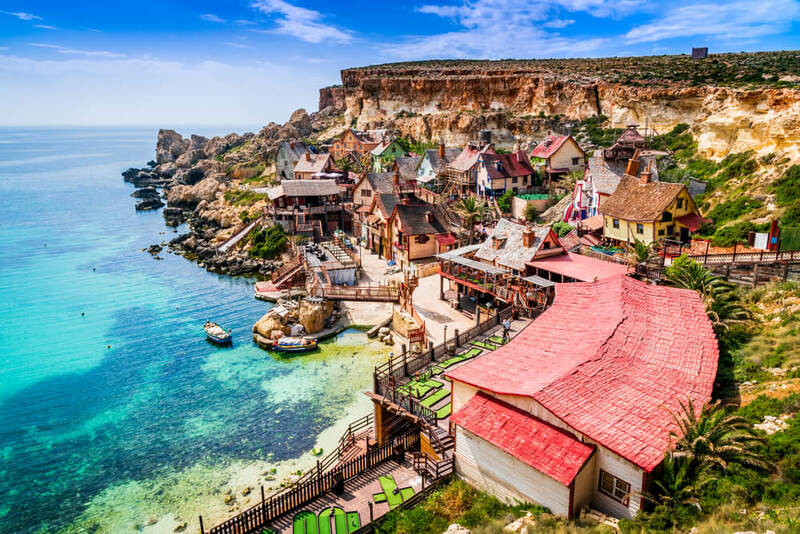 Kids and adults alike will adore visiting Popeye Village (the actual film set from the 1980s musical, which is now a theme park); exploring Fort St Elmo, which was used during the Great Siege of Malta in 1565; splashing about at Splash &amp; Fun Water Park; choosing their favourite luzzu (traditional fishing boats painted in bright, bold colours) at Marsaxlokk harbour. Just be sure to keep the youngens away from Paceville after dark (it’s reminiscent of Kings Cross in the nineties). I feel so privileged to have experienced the idyllic island as a child and an adult, as I can now say with surety that it’s a destination for people of the generations – even those with food allergies! 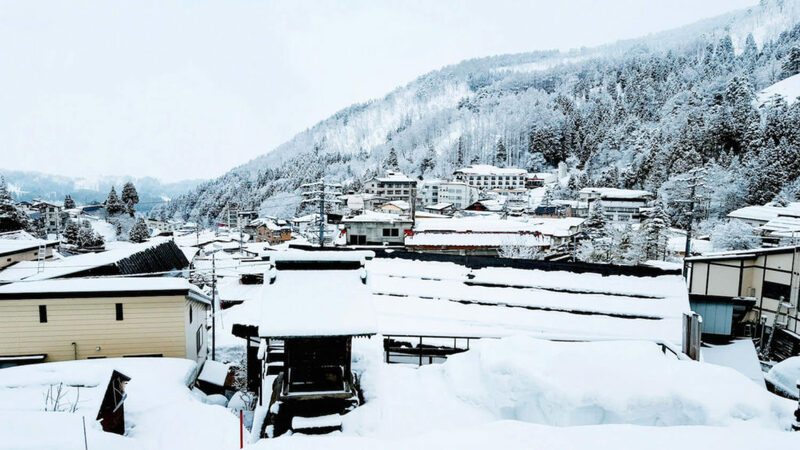 Powder snow, onsens and dumplings – that’s why I love Nozawa Onsen. We spent a week here as a family in 2017 and we’re dying to go back again. The snow is sensational – you can expect soft powder (and plenty of it) right through to March. On average, this ski resort receives an average of 10 metres of snowfall a year. The kids love watching huge flakes swirl towards the ground and trying to catch them on their tongues. You can easily spend half a day skiing from the top to the bottom at Nozawa Onsen. The longest piste is 10km long. On wide runs, such as Paradise, the kids love to find little kicker jumps behind trees and launch themselves into the air. On the twisting Forest trail, they do ‘rainbows’ up the side of the track. But the best part of the resort has to be the rollers and jumps, which the Nozawa Onsen groomers have built into the runs. This resort made me a better skier because someone has to follow the kids as they attempt a mega jump. After a full day of skiing, you can pull off your hard ski boots and immerse your feet into a warm onsen foot bath at the base of the slopes. This is pure heaven for tired feet and calves. We love staying in the traditional ryokans at Nozawa. Each night, the hotel staff set the tatami mat room up for sleeping by adding futon mattresses. In the morning, the room transforms into a lounge-around with a low table and cushion chairs. And the toilets are full of buttons – expect to hear giggles and squeals when the kids go in. If your family loves sushi and dumplings, you will love eating at Nozawa Onsen. You can buy freshly steamed dumplings as a snack all day long. At the sushi restaurants, the kids love watching the chefs slice and roll their dinner. Nozawa Onsen is just a few hours from Toyko by bullet train. Alison Godfrey is the Digital Editor for Family Travel and MyDiscoveries. Despite growing up in Norway, I never managed to visit the Legoland in nearby Denmark as a child. Often envious of my classmates’ fun visits to the iconic amusement park in Billund, I knew a lot about Legoland without ever having been. It wasn’t until I was a mother myself that I was lucky enough to finally experience the fun and adventure of a theme park based on interlocking plastic building blocks. We rented a car and did the three-hour drive from Copenhagen, where we were based for the week. We spent two nights in the Legoland Holiday Village in Billund, a basic family-friendly hotel with good facilities, child-friendly food and a great playground. This left us with an entire day to explore Legoland with our then 6-year old twin boys and 2.5-year-old daughter. As there is a lot of walking involved, it is wise for children and adults alike to wear comfortable shoes while exploring Legoland. A light stroller is a must for any child younger than 4 – this way you avoid overtired tantrums and complaints of sore feet. It was a 28-degree day when we went there and we’re thankful for all the extra water we brought along. Bring bathers and towels for the kids, as there are several pool and splashing areas within the park; on a hot day, it is undoubtedly the best way to cool down! There is a toddler-friendly area with a DUPLO-themed playground and smaller rides suitable for younger kids. The range of rides varies (quite a few of them were way too scary for me!) and are often height-dependant. As we visited during the high season, the queues for each ride were unfortunately very long; I recommend buying the Express Pass, as you will get more out of your day at the park. We spent close to eight hours exploring the amusement park, enjoying the rides, a show, the pools and a 4D cinema experience as well as eating lunch and ice-cream. Legoland is designed for families with kids, so it was an enjoyable and highly memorable day for all of us. I think we would get even more out of the visit if our kids were older and able to do more rides, but they still had a fantastic time. 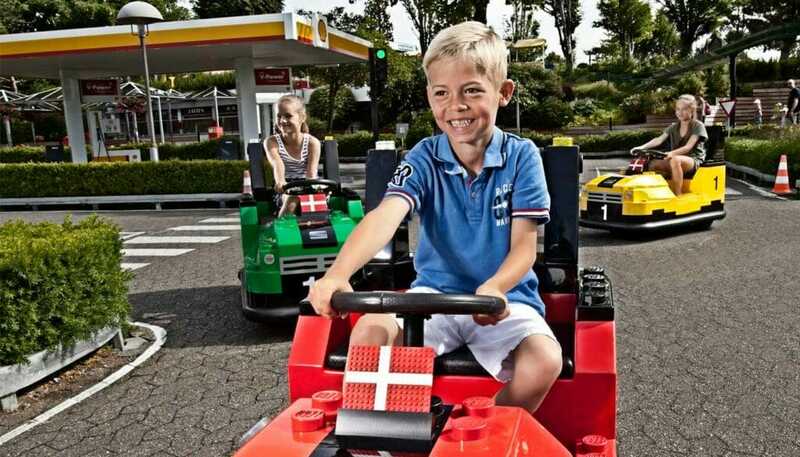 Legoland is easily added into any Denmark self-drive itinerary and a real highlight whether you are 5 or 50. Ivy Thompson is a Destination Specialist at 50 Degrees North, which specialises in holiday travel above the 50th parallel north, including Scandinavia, Finland, Iceland, Greenland, the Arctic, the Baltics, Russia, Mongolia and Kamchatka. Stay tuned for part 2 of our 2019 Top Destinations to Visit.